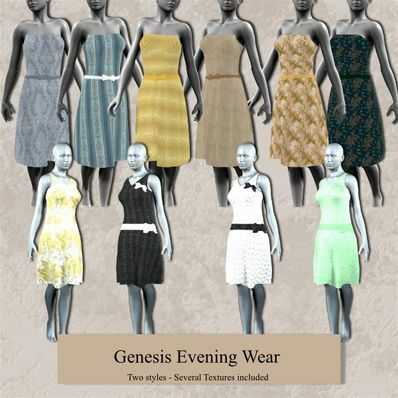 Two Evening Wear Dresses for Genesis for use in Daz Studio 4. Two styles of short evening dresses. Stunning work, and again the MAT zones are just tooo much.